As the market becomes increasingly competitive and global, airlines are looking harder and harder for new ways to innovate. These innovations come in many different forms. From the in-flight live acoustic concerts that Indonesian national airline Garuda has announced to developing new aircraft altogether, there is a huge amount of choice and many directions the industry can take. All advances and experiments are extremely important for airlines at a time when it is harder than ever to corner a market with so much choice. However, a lot of airlines are looking in the wrong direction, ignoring more straightforward options. Instead, airlines should arguably be focusing the most attention on developing apps that make it easy for the customer to book and manage their flight and airport experiences. Millennials in particular value the convenience of apps and by now it is almost a prerequisite — conscious or subconscious — for a service to include a good quality app. This is a demand that a lot of airlines have been extremely slow to respond to and as a result could be losing a lot of custom from an entire generation of people who travel a lot and want their experience to be straightforward. 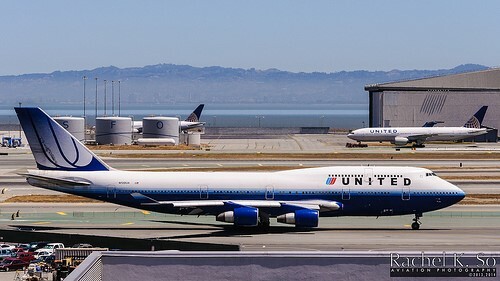 One airline that is responding to this challenge extremely well is United. The app they developed last year has had millions of downloads on both Apple and Android platforms and serves its audience extremely effectively. The app has a number of functions that consumers take for granted in other industries, notably the rail industry. It makes it easier to see whether flights are delayed, something that in the past has been famously difficult to do before arriving at the airport. It also gives people detailed information about the airport they are in, including maps and travel times between gates. While these may seem like small and simple things, not all airlines are offering them, and it will be interesting to see how quickly this will harm the perception of those airlines from an extremely large group of consumers who expect this kind of thing as standard. The reason for this shift in perception is that other industries have adapted so quickly to offer so much more through their apps. The gambling industry is a notable example. Thanks to the intense competition, it’s brands that offer something extra that stand out. For example, the Mr Green Android app gives consumers the ability to play casino game and gamble on the sports books while they are on the move. Functions that in the past have only been available on desktops — and in physical locations before that — are now fully available on handheld devices and airlines must respond. In terms of influencing consumer expectations, the biggest app has probably been Uber. Booking transport over an app and managing your journey on the go revolutionised taxis, and traditional taxi transport could well be an unrecognisable relic of the past for a new generation of urban dwellers. While flights will surely not be bookable in an Uber-style any time in the near future, there’s every chance an airline could develop an app that reinterprets and reinvents the way consumers think about travel, and every airline should be rushing to be the first to do it.